Secretive policies employed by British intelligence agencies to monitor privileged conversations between lawyers and their clients are illegal under European human rights law, the UK government concedes. The government’s rare concession comes ahead of a legal challenge by Libyan exile Abdel Hakim Belhaj and his wife Fatima Boudchar, who are suing the British state for its role in their alleged rendition to Libya in 2004. There they were imprisoned and tortured. Belhaj and Boudchar filed a separate case with the Investigatory Powers Tribunal (IPT) alleging UK intelligence services spied on confidential communications with their lawyers, a practice which would give government prosecutors an unfair advantage in court. While the British government’s admission provides fuel for the Libyan exiles’ claims of illegal government monitoring, it does not concern their particular allegations, which the IPT will hear early next month. This admission following a separate IPT ruling earlier this month that data obtained by British spy agencies from the US National Security Agency (NSA) prior to the end of 2014 was in breach of human rights law. The British government admitted its policy of spying on lawyer-client communications was in breach of Article 8 of the European Convention on Human Rights (ECHR), which protects the right to privacy. “We acknowledge that the policies applied since 2010 have not fully met the requirements of the ECHR ... this includes a requirement that safeguards are made sufficiently public,” a government spokesperson said. “It does not mean that there was any deliberate wrongdoing on the part of the security and intelligence agencies, which have always taken their obligation to protect legally privileged material extremely seriously. “Nor does it mean that any of the agencies’ activities have prejudiced or in any way resulted in an abuse of process in any civil or criminal proceedings,” the spokesperson added. UK intelligence agencies GCHQ, MI5 and MI6 first admitted to spying on lawyers last November. As part of Belhaj and Boudchar’s case with the IPT, the security services handed evidence to the tribunal detailing secret policies for monitoring legally privileged material. Laws protecting communications between clients and lawyers date back hundreds of years and are an established part of British common law. Cori Crider, a director at legal charity Reprieve and one of Belhaj and Boudchar’s lawyers, said the government had endangered the fundamental British right to a fair trial. “Reprieve has been warning for months that the security services’ policies on lawyer-client snooping have been full of loopholes big enough to drive a bus through,” she said in a statement. It appears government agencies intercepted the private lawyer-client communications of Belhaj and Boudchar, Crider said. He believes the information may have been passed on to lawyers or ministers involved in fighting their lawsuit against the British state. “Only time will tell how badly their case was tainted. But right now, the government needs urgently to investigate how things went wrong and come clean about what it is doing to repair the damage,” he added. Last month, a classified MI5 document came to light revealing the British government’s role in rendering two key leaders of a Libyan opposition group to Tripoli, along with their families and Belhaj’s pregnant wife. The intelligence assessment revealed how British policy towards Libyan opposition groups became hostile after former Prime Minister Tony Blair began cooperating with the then-Gaddafi government, partly in return for lucrative oil contracts. Marked “UK/Libya Eyes Only – Secret,” the document was discovered in a Libyan government building following the revolution. 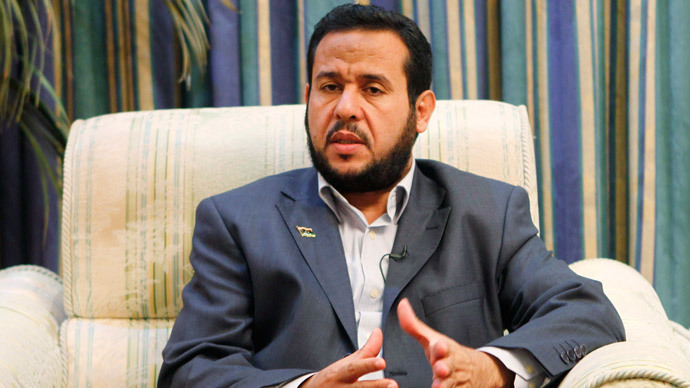 After their rendition to Tripoli, Belhaj and his wife, along with other members of opposition groups, were allegedly tortured by Libyan authorities. Belhaj, who is seeking damages in court and a formal apology, has said he will settle with the British government for just £3.